Something Clever and Scowl Brow Deliver A Double Knockout At The Underground Reviewed by Kris Engelhart on April 5, 2019 . The local music scene in the Carolinas is absolutely exploding with talent right now much to the delight of area music lovers. In the past few years, more and more bands are doing bigger and better things, constantly outdoing themselves at every turn. 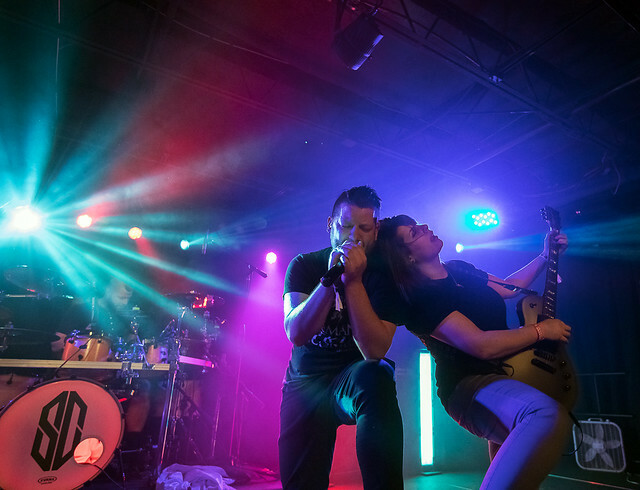 The month of March has been insane with show after show and this past Saturday night was no exception as both Something Clever and Scowl Brow celebrated the release of their latest EPs with a dual release party at the Underground. 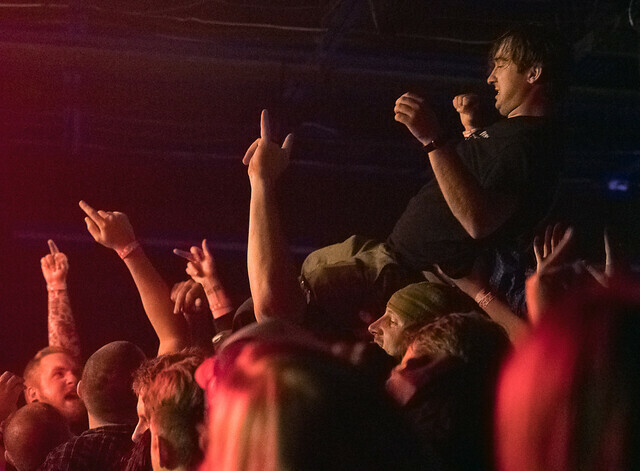 The evening was filled with anticipation as fans, family, friends, and devoted concert-goers packed the Underground for a night of killer rock from all their favorite bands. Kicking off the evening was a band called Good Good Grief based out of Cape Fear. This was my first time seeing them perform so I was stoked to see what they would bring. Right off the bat, I liked their logo which was four black coffins, the first with a cross and the others with a ‘G’ for, of course, Good Good Grief. The four-piece band was a cool mix of metal, punk, and rock with a bit of horror thrown in. Their set was short but sonically pleasing and seemed to be a good fit for the rest of the evening’s entertainment. 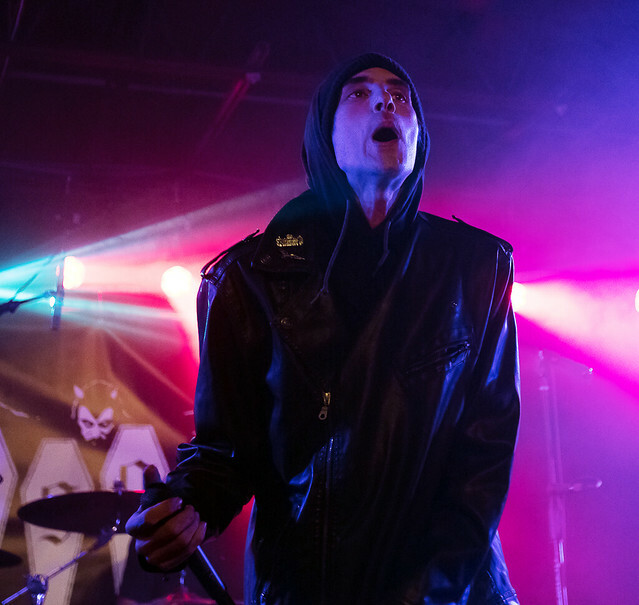 Lead vocalist Nick Chikago was a mysterious figure in a dark hoodie as he screamed and growled throughout the set. The band’s biography states “sounds like a nightmare” and while I wouldn’t describe them exactly that way, it is fitting in the sense that their music could definitely fit the background of a horror movie or nightmarish scene. The crowd seemed to enjoy them as well and I hope to see more of what they can do at future shows. Next up was the manic metal of Violent Life Violent Death. The band hit the stage in a frenzy, whipping up the crowd from the very first notes. The stage was dark with plenty of strobes to highlight and accentuate the band’s movements. Lead vocalist Scott Cowan was a whirling dervish of activity, spinning, jumping, and moving all over the stage. 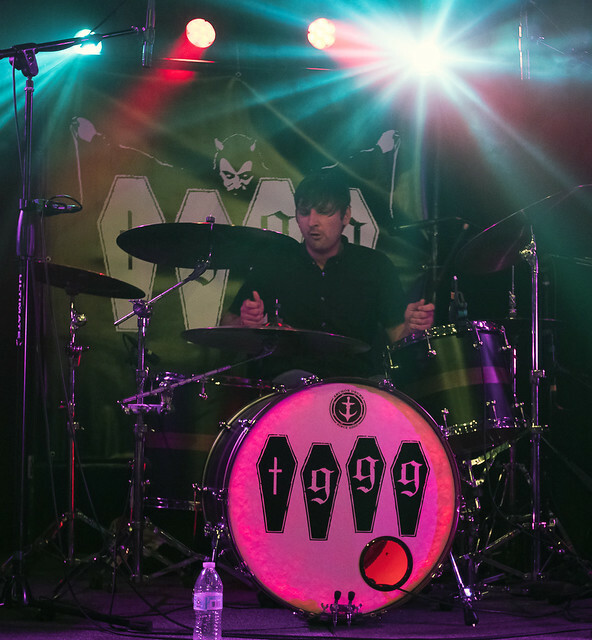 The guitar riffs of Joseph Benham and Joey Park were insane and the solid rhythm section of drummer David Holquin and bass guitarist Justin Campbell drove the pace all set long. It wasn’t long before the mosh pits starting going as the crowd let loose to the music, crashing and banging into each other in a sort of manic yet coordinated mayhem. Violent Life Violent Death is a band that really needs to be experienced in a live setting in order to fully appreciate their talents. The fans fed off the energy being exuded on the stage and in turn the band refueled off the amazing energy that the crowd gave back to them. It was metal madness at its best and it’s easy to see why Violent Life Violent Death is such a powerhouse on the local scene. After such an exhilarating set, everyone was ready for a little break as the Clever Crew began preparing the stage for local favorites Something Clever to take the stage. It’s always a treat to see the band live as they put on one hell of a show each and every time. Tonight was something even more special as the band was celebrating the recent release of not one but two fantastic EPs, Moments Red, and Moments Blue. 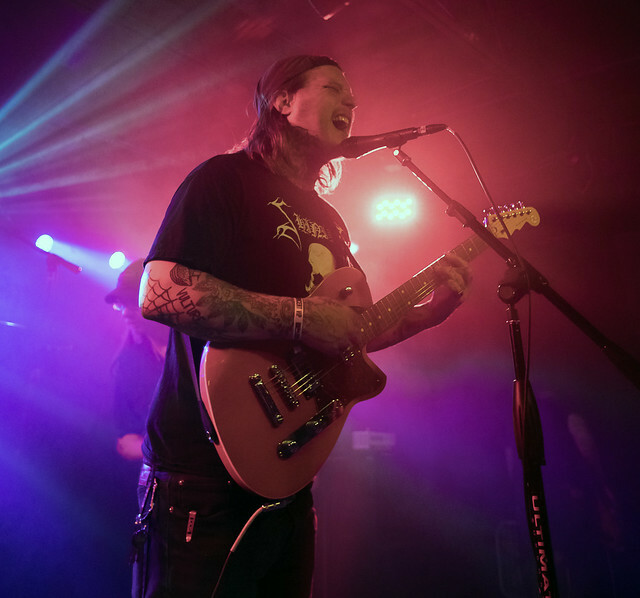 Something Clever started out with one of their best songs, “The Hill,” which had both lead vocalist and the audience screaming out “Is this the hill you wanna die on?” while guitarists Kelly Flusk and Brett Baker lit up the venue with sizzling riffs and scorching leads. The band puts a lot into their stage performance and it has really paid off. Every time I see them on stage, they are looking better and sharper than the time before, engaging the audience and having fun. Something Clever is definitely a band that is destined for the big time, a complete package in every way with terrific songwriting to back them up. Everyone was singing and pumping their fists in the air for my new favorite “Fever Dream” as drummer Justin Tyme kept a driving pace. Bass guitarist Lawrence West is a treat to watch as he jumps, spins and poses for the crowd while Kelly takes her guitar out to the barricade to perform. As always, “Rise” took things to another level as the energy level in the venue exploded leaving both the band and the crowd sweaty, happy, and wanting more. If you have never had the chance to catch a Something Clever show, get to one now! This is one local band you have to see. The night was not over yet, as there was still one band left to go. The crew began covering the loudspeakers in plastic sheeting and the monitors at the front of the stage with trash bags in anticipation of Scowl Brow’s beer spraying fan base. In recent years, the band has gotten attention for all the wrong reasons but tonight’s show was all about the music. With a brand new EP Short Fuse just released, Scowl Brow is back in a major way. When frontman Robby Hale took his spot behind the center mic, the fans at the barricade went wild, throwing the devil horns in the air, pumping their fists, and spraying Pabst Blue Ribbon tall boys all over the place. Just like their facebook page reads, Scowl Brow is four dudes drinking beer and playing rock and roll and that’s exactly what you get. Their no-frills, punk approach to the music has given them a rabid fan base and their new EP proves they have what it takes to back it up. The songs on Short Fuse hit hard like an atomic blast but also have an undeniable melody and groove that can not be denied. The tunes kept coming as Scowl Brow jammed on and the beers kept flying, leaving a sticky wet mess all over the stage. It really doesn’t get any more rock and roll than that. 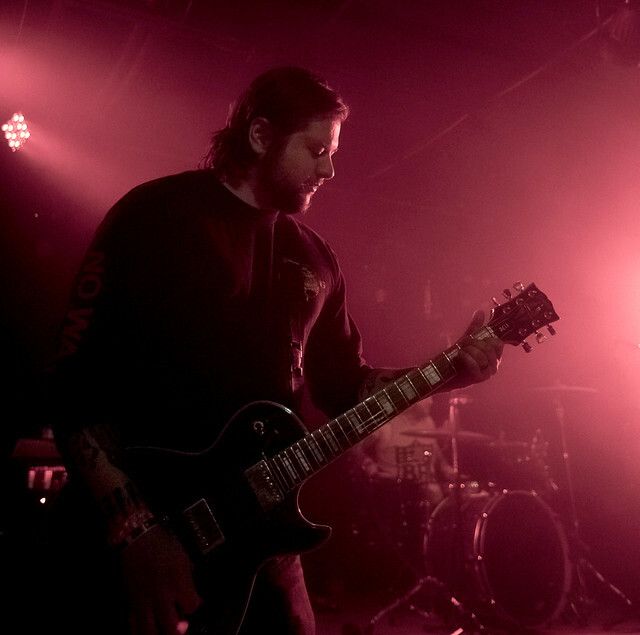 Local bands are really on fire and Saturday night was a true showcase for what the Carolinas music scene has to offer. It’s always great to see the big bands like Metallica but don’t be a stranger to our scene. Come out and check out where things are really happening. Get to a local show today!